If piercings make you feel squeamish, you might want to skip this post. Still here? Great. You’d be surprised with the kinds of things people are putting into or attaching to parts of their body to enhance their ability to do something. In this post we will be looking at 6 different ways a few brave souls have been trying to use tech to compensate for a disability or to give them "special powers". From inserting magnets into fingertips so one can feel the effects of magnetic fields, to attaching devices (to the skull!) that help the user "detect color", here are just 6 examples of amazing biohack enhancements actual people underwent. While you and I are probably content to have just five senses, there are people who would like to take that a step further and get a sixth sense. This however has less to do with sensing the paranormal and more on sensing magnetic fields. 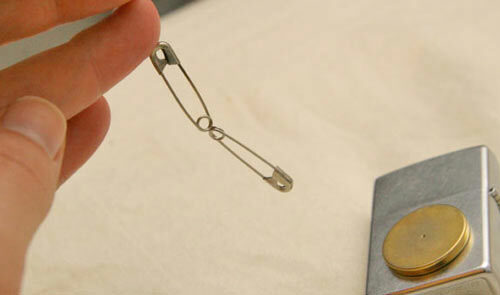 By inserting a special bio-coated magnet into your fingertip(s), you can feel vibrations generated by magnetic fields and even attract light ferrous or metallic objects, say a paperclip, to your "enhanced finger" just by touch. The procedure is not done by a medical professional, in fact you can buy the magnets online then go to a tattoo parlour to get it inserted into your fingers (note that there is a bit of pain involved due to the absence of anesthetic). The magnets will also not be strong enough for you to move metallic objects around, or wipe out hard disks. It will however cause a bit of a problem if you need to go through an MRI scan. You may have heard of RFID implants. They come in the form of chips that carry specific information about the individual they are embedded in, e.g. RFID chips can be embedded in pets to help identify their owners in case of a stolen pet or a pet gone rogue. But in humans, you can even use RFID implants to control doors, trigger lights, adjust surrounding temperatures just by being near a sensor. This was what British engineer and researcher Kevin Warwick did in Project Cyborg, via an RFID chip implanted in his arm. Other usage include the use of RFID implants as debit card, a technology offered to patrons to a Barcelona club. This however raises concerns of potential abuse such as forced surveillance and remote hacking of chips for illegal use. So far, there is no way to block or lock down RFID transmission as yet. 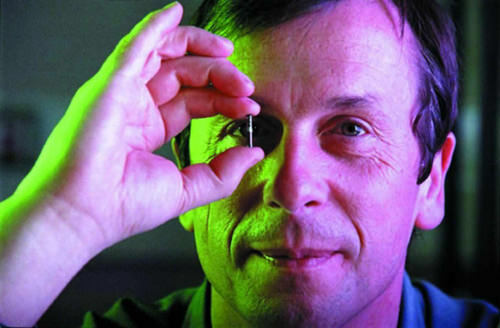 Kevin Warwick’s Project Cyborg also explored the possibility of implanting electrode arrays into nerves. The electrodes can then "plug into" his nerves and function as if it was actually his real arm. 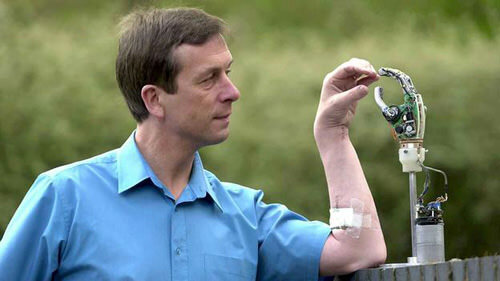 In a demo where Warwick was in New York, he connected his implant to a robotic arm in Reading, UK, via the Web, and was reported to have ‘felt feedback from the robotic arm’. In a second demo, Warrick’s wife was given a simpler form of the implant. She then could send and sense what Warwick could via signals sent through the Internet. It became a sort of sensory synchronization. Although the nerve tissues were said to have wrapped around the implant, the procedure and chips don’t seem to have a negative effect on Warwick or his wife. An eyeborg is a device that allows a user to detect colors. 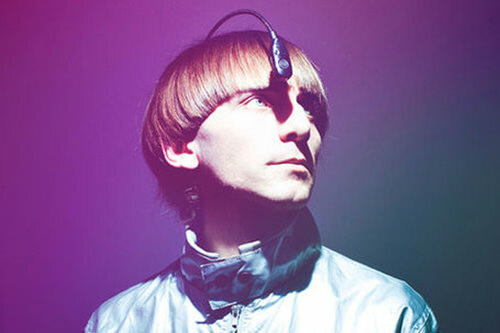 The user wears the eyeborg on their heads and it contains a sensor that can sense the colors in front of it. The device will then translate that color into sound waves that will be transmitted to the user’s ear through bone conduction. Each color generates a special frequency that the user can identify specific colors with. The eyeborg is the result of Adam Montandon (its creator) and artist Neil Harbisson who was born with achromatopsia: he can only see in black and white. The eyeborg allows him to not only tell apart different colors, but even detect color tones based on the frequencies. Eventually Harbisson had the device permanently attached to his head. The 3rdi was a 2011 art/performance project by Iraqi-American artist Wafaa Bilal. An assistant professor at NYU’s Tisch School of the Arts, he attached a titanium plate to the back of his head that holds a camera setup which snaps a photo at one-minute intervals. The images are then uploaded to a website to be viewed by the general public as well as a museum in Doha, Qatar, via monitors. He has no control over the images taken by the camera setup but to him, that is the point of the performance – to snap photos of the mundane and "what is left behind" in an attempt to make us pay attention to what happens in the present. The performance also emphasizes his belief that these devices will one day be part of the human body. Eventually he had to remove part of the apparatus because his body rejected one of the pieces despite the use of antibiotics. You can view more of his extreme projects at his personal site. Steve Mann is widely considered to be the father of wearable computing with his invention, the EyeTap. The device is akin to a proto-Google Glass, and was developed in 1981. It is worn in front of the user’s eye, acting as a camera and allowing you to superimpose information on top of the images, creating augmented reality. In Mann’s case, he chose to permanently attach the device to his skull, as he is so used to wearing it to the point that without the device, he feels nauseous, unsteady, even naked. There are several potential uses for the EyeTap. 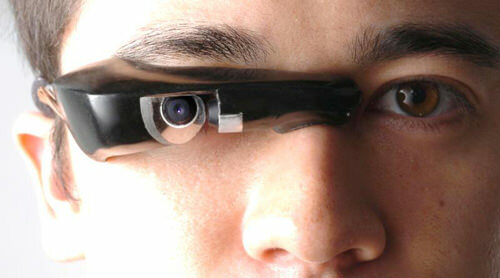 The most obvious is the heads-up display that it can provide, in addition to the augmented reality features. 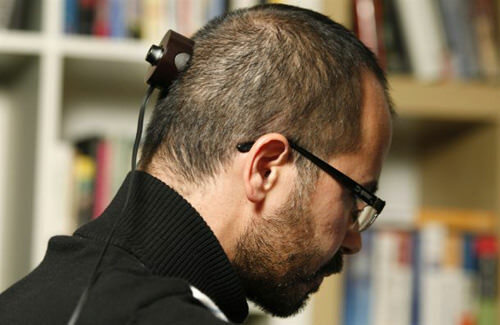 Mann himself uses it as a form of sousveillance (recording an activity by the participant) but in extending the potential the device has, it is possible for the EyeTap to help people with visual disabilities.